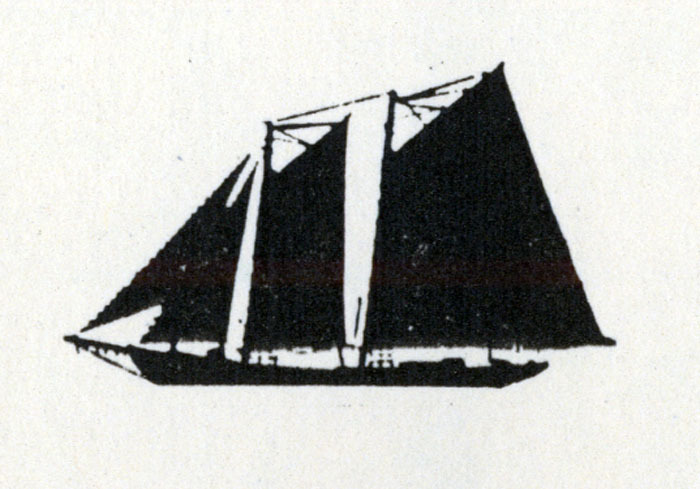 A small vessel of about 20 tons dating from the 16th century, with two masts, normally both square-rigged, but occasionally with a lugsail on the mainmast. Later the square rig was abandoned for a schooner rig. Sails that attach to the mast or stays by their forward edge. They are set on stays, gaffs, booms, etc., and are generally triangular or trapezoidal in shape. sail. 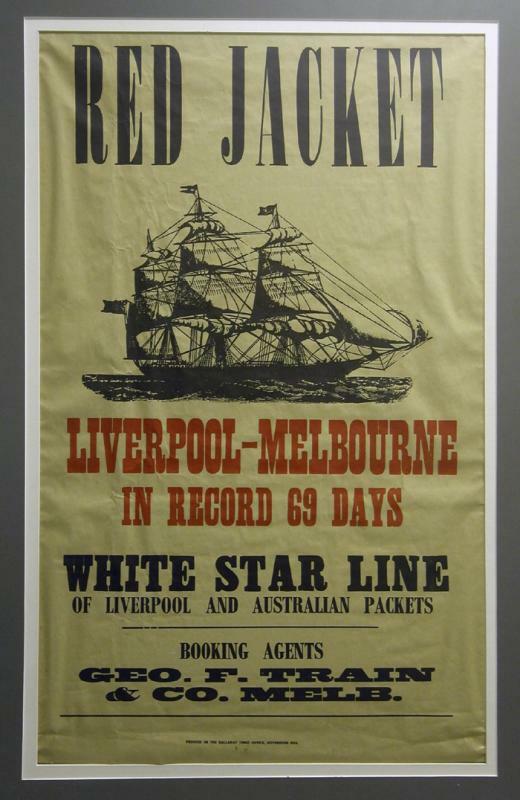 Launched in 1608, it helped bring the settlers back to England after the colony’s leader died. Note the sideways picture of the vessel on the left side of the map of Popham Colony. 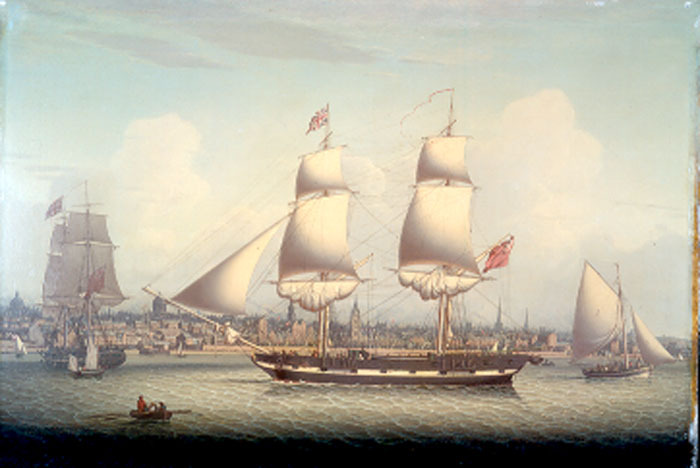 A sailing vessel with three masts; square-rigged on the fore and main masts and fore-and-aft rigged on the mizzen. 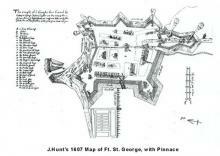 was built at Richmond Island, south of Portland. 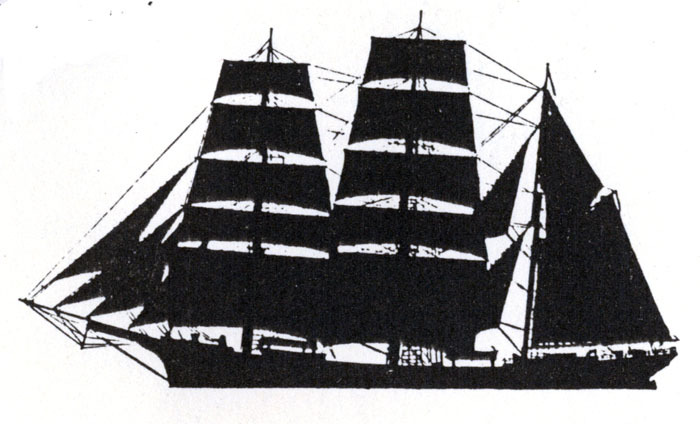 A sailing vessel of two or more masts, all fore-and-aft rigged. 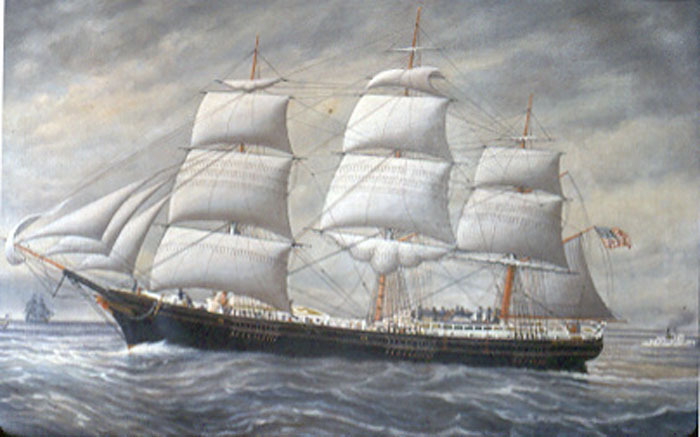 The Thomas W. Lawson, built in 1902, had seven masts. 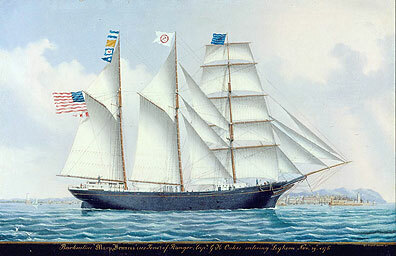 In comparison to a square-rigged vessel of comparable tonnage, a schooner is better for coastwise sailing. used for fishing and for shipping goods to Boston or the West Indies. Ship construction around Penobscot Bay didn’t really start until after 1759, when the French retreated from Castine, and the British encouraged settlement east of the Penobscot River. Of a sailing vessel when it sails as near as possible to the wind's direction, sailing to windward. 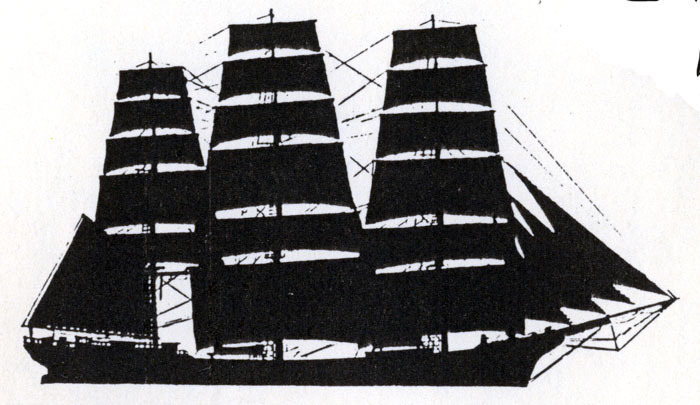 The arrangement of sails in a vessel where the main driving sails are laced to yards lying square to the mast. It is the oldest type of known rig. Such a vessel is called a square rigger. vessels and were smaller, handier, and required fewer crewmen. 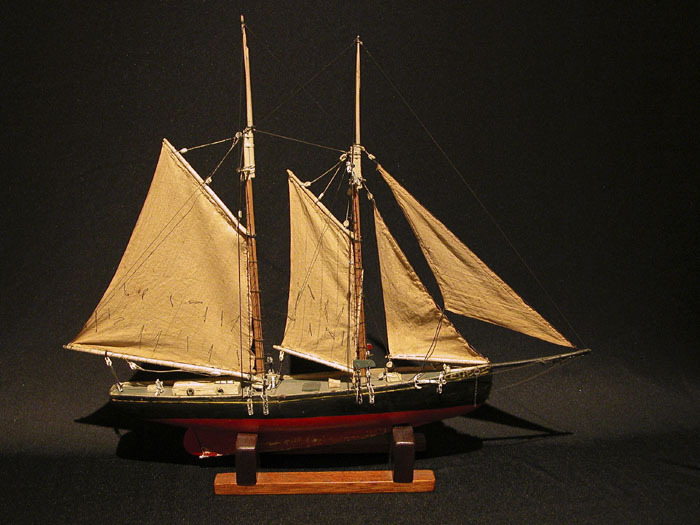 More schooners were built around Penobscot Bay than any other type of vessel. Embargo Act of 1807 forbidding international trade to and from American ports. It was an attempt to counter British and French restrictions on neutral trade during the Napoleonic Wars. 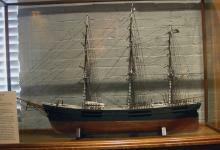 The act failed and was repealed in 1809/10 after devastating what had been a profitable New England shipping industry. in 1807. 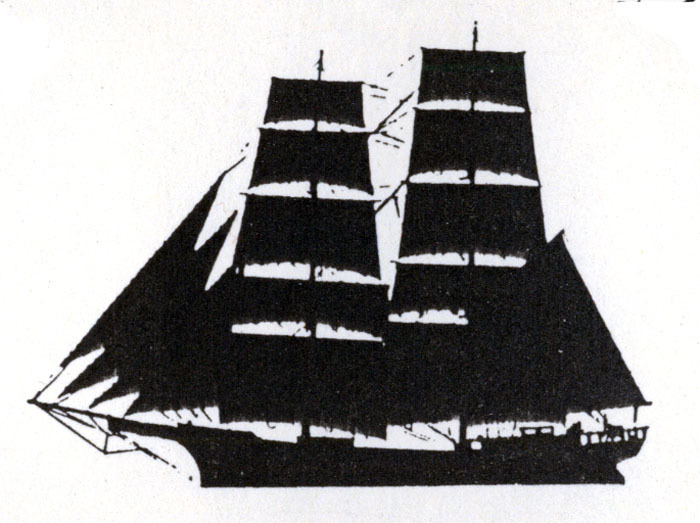 A sailing vessel with three masts; square-rigged on the fore mast and fore-and-aft on the main and mizzen masts. were popular in the Atlantic deep water trades. Tea comes from a shrub, Camellia sinensos, whose leaves, buds, and internodes are made into a beverage by infusion with boiling water. A nautical measure of speed. One knot is equal to one nautical mile (6,080 feet) per hour. The term comes from the knots on the line of a chip log. in a good breeze.